Summer vacation is winding down, and coworkers are coming back from their trips to exotic and exciting locations. Some travel abroad, some stay closer to home, but almost everyone brings back souvenirs to share. 秋田犬のふん, or Akita Dog Dung. 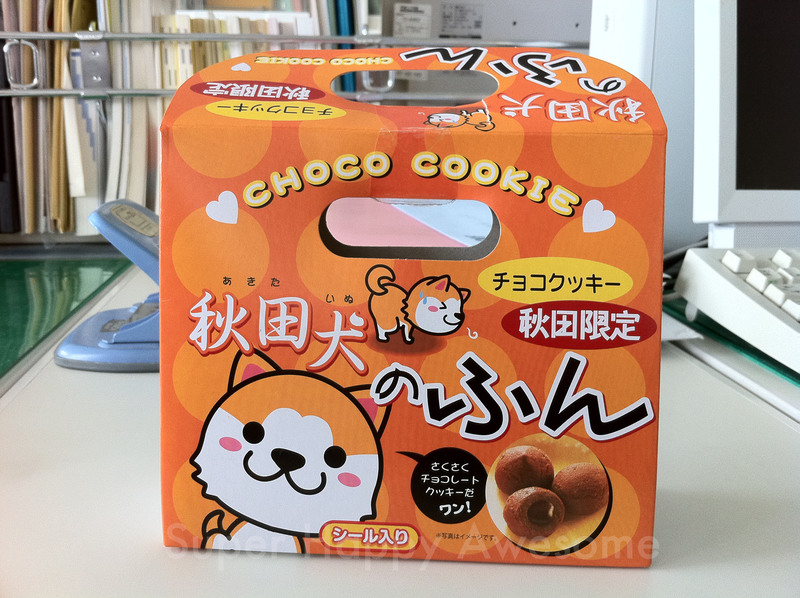 The best souvenirs are the tasty ones, and these cookies from Akita Prefecture are no exception. Crunchy chocolate cookies with gooey chocolate centers, what’s not to love? 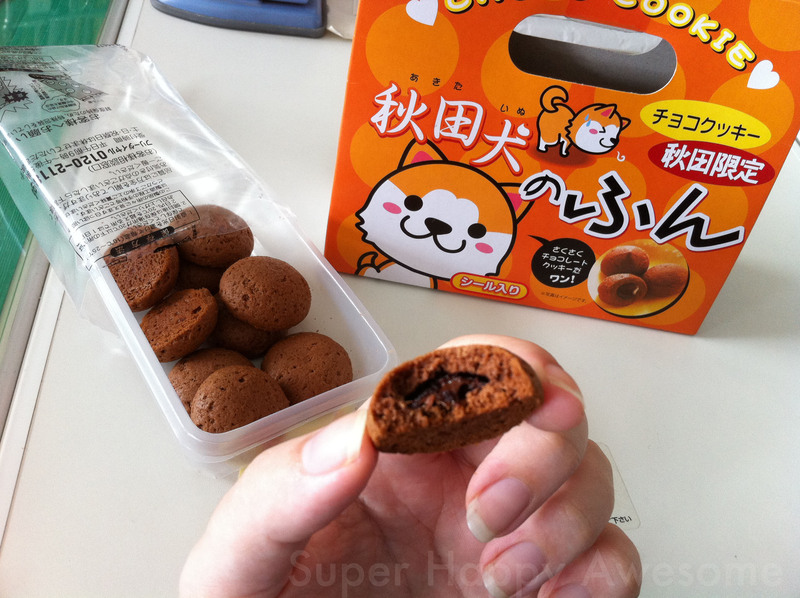 Oh, other than the fact that they’re modeled after dog poo. My coworker may have made sound effects to go along with the puppy's action. After all, Akita Prefecture is famous for the Akita Inu, a breed of dog known for its loyalty and intelligence. The faithful Hachiko was an Akita Inu, and apparently Helen Keller was quite a fan of the bread as well. Doesn't taste like poo, thank goodness! Still, I don’t know how I feel about these cookies. The idea was pretty unappetizing, but once I convinced myself that it was just a chocolate cookie, it was actually quite tasty. And it definitely made me laugh to see boxes of “dog poo” appear on my coworkers desks. What do you think–cute and silly or just gross? Stay classy, Japan! This entry was posted in Food! 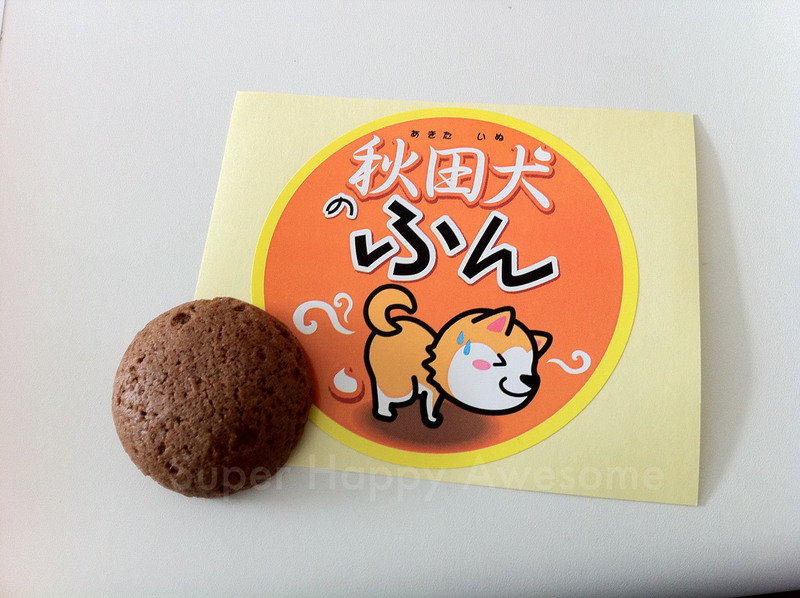 and tagged Akita, akita inu, chocolate, cookie, 秋田、秋田犬、犬, dog, Japan, omiyage, poo, souvenir, sweet. Bookmark the permalink. LOL jeez, only in Japan! I saw giraffe poo brownies at a zoo in Ohio.